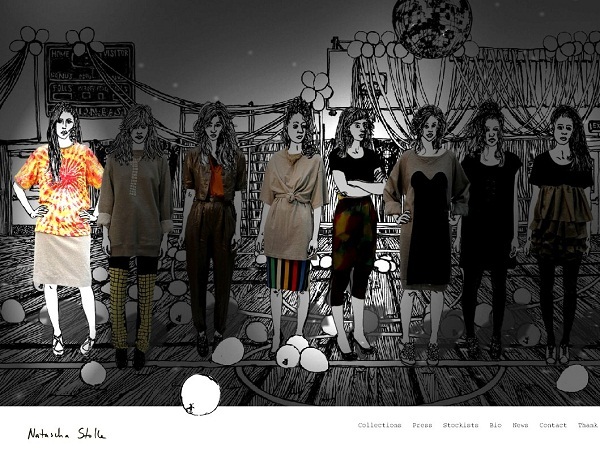 If you are looking for up and coming fashion designers, then Tellusfashion is definitely the right place to start. High hopes have already been pinned on Dutch designer Michael Van Der Ham, and predictions that he will go far in the world of fashion have already been stated. Michael Van Der Ham has a strong background in fashion designing. He graduated from Central Saint Martins college with an MA in fashion, and has interned for some impressive designers such as Alexander McQueen. 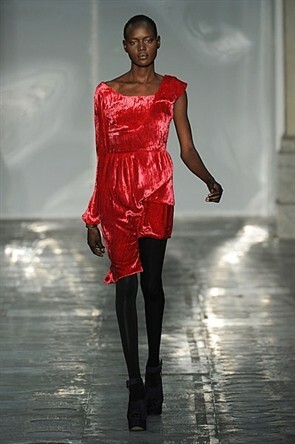 His A/W 11 collection hit the Newgen catwalk at London Fashion Week earlier this year. 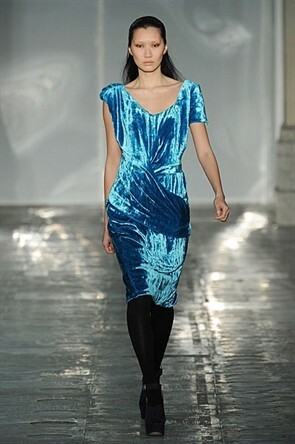 It is filled with feminine pieces; well fitting dresses made with shimmering velvet material, in deep autumnal colours. Molly and Alice Goddard are the new kids on the block. They are sisters which have one major thing in common; they share a passion for fashion. Both girls have had previous successes in the fashion business; Molly studying knitwear at Central Saint Martins, and Alice, a model who has almost given up the glitz and glam to follow in her sisters footsteps in the world of designing. Tellusfashion predict huge things for this brand, which has already been featured in the likes of Grazia. Keep up the good work girls! Above: one of Molly’s knitwear designs, image courtesy of Bipling.com.